Exfoliate your skin regularly. This, even if you have not yet gone on vacation and therefore do not go to the beach. Keep in mind though that you tan during the day, circulating through the city. 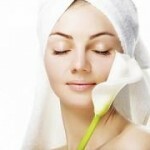 Therefore, it is advisable to take care of the skin. Water, water, and water. The two “famous” liters of water, which was talking about it would be essential for the body are not enough. Basically, you need to drink water constantly, even if you’re not thirsty. Only then can you stay quiet about the body’s hydration level. In this context, always kept handy in a purse, a bottle with water. It is useful when you feel that your skin dries out and “tighten up”. Which happens frequently, because of the installations including air conditioning, humidity in closed spaces. After every shower or bath, using a body oil sesame based. It is an excellent moisturizer and can be applied in the morning, as it is quickly absorbed into the skin. I do not think it’s necessary to remind you not to forget the degree of protection at least SPF 20. If you have blond hair, you can say that’s an additional concern: that the pool chlorine from water could cause damage to hair color – that is, the appearance of shades of green. This, even if you wear a helmet. To prevent, here’s a tip: before 5-10 minutes to take a shower after returning from the pool, apply to wet hair a little tomato paste. Will neutralize the red pigment of green and your blonde hair shines again – literally and figuratively. Keep in the fridge some fresh beets. It is excellent as a blush, gives a natural look and is a very good moisturizing agent for delicate facial skin. Intense pollution, corroborated with unbearable temperatures, is an argument for washing hair daily. Use a gentle shampoo with light texture, and twice a week, a protein based product. Massage your scalp every time, is also good and relaxing.